Aside from the Private Game Reserves located on both the east and south side of the iconic Etosha National Park, a wide range of accommodation is situated outside the park. From luxury five-star lodges to authentic campsites in the wild. Here you have the benefit of having Etosha National Park right on your doorstep, and also exploring more of the area! 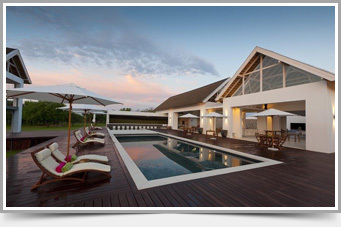 These resorts and lodges offer their own activities, swimming pools, waterholes and much more. Whether you are experiencing your safari trip with friends, family or by yourself – all travellers can be accommodated, even the little ones! 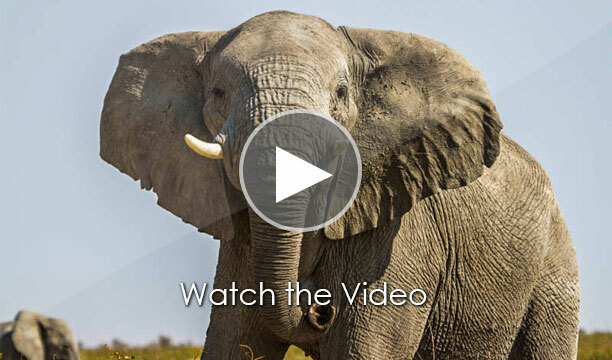 Broaden your horizons and experience a true African safari journey. 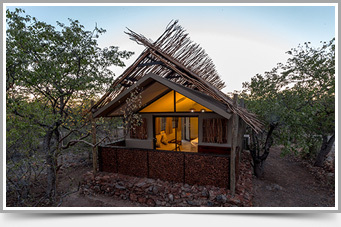 There is a variety of accommodation surrounding the eastern side of the park located just outside of Etosha’s Von Lindequist Gate and close to the Onguma Private Game Reserve. You’re bound to find a lodge to suit your needs and desires – from luxurious five-star accommodation to wildly beautiful camping sites. Aside from the world famous Etosha National Park being at your doorstep, there are multiple other activities available at each lodge to keep you entertained during your stay. 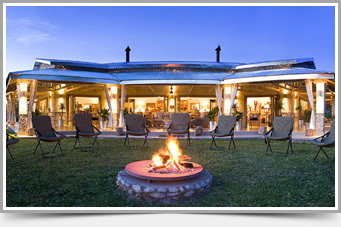 Emanya is situated on a game farm – rich in wildlife and situated close to the iconic Etosha National Park. Visit Emanya Lodge now to stay in one of the 20 luxury chalets, and join in on some of the many activities on offer. Come and be inspired by the substantial number of kudu, eland, waterbuck, oryx, and giraffe seen regularly in this area. 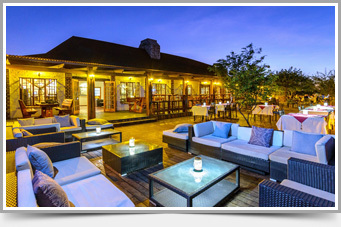 Situated on a vast game farm right on the border of the majestic Etosha National Park, is Mokuti Lodge. Enjoy the wide variety of accommodation, cuisine, entertainment and diversity of game. Wildlife here ranges from kudu to giraffe, oryx and many other species. 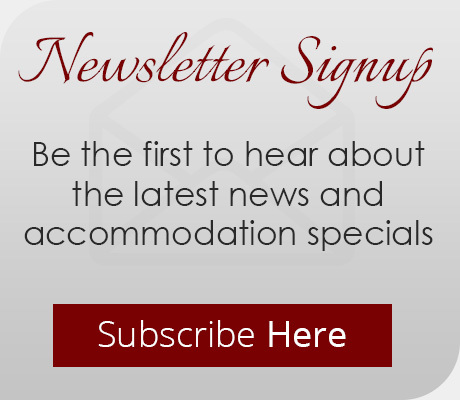 A wide variety of accommodation options cater to each traveller’s needs; ranging from luxury lodges to exclusive villas. Located on the eastern side of Etosha, it’s a mere eight kilometres from the iconic Etosha National Park’s Von Lindequist Gate. Situated on 34 000 hectares of protected land and wildlife habitat, the Onguma Collection resides in a privately-owned game reserve and offers a wide variety of accommodation and activities. An abundance of wildlife and safari scenes can be enjoyed within the reserve as well as in the Etosha National Park. Situated on the southern side of the Etosha National Park just outside of Etosha’s main entrance – the Andersson Gate – you’ll find numerous lodges tailored to suit any safari desire. Whether you are a lone traveller, in a group, or on a fantastic family trip, you’ll find what you need here. The variety of fun activities, restaurants with delectable dishes, swimming pools and bars are bound to keep you entertained and satisfied throughout your safari adventure. 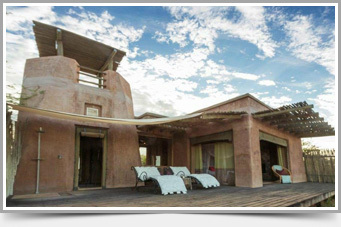 Situated on a private reserve to the South of world-famous Etosha National Park is Epacha Lodge. 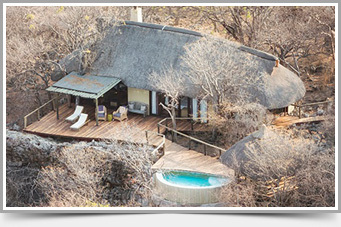 Enjoy this five-star bush experience with breath-taking views and surroundings. Embrace the diversity of wildlife in and around the lodge before joining the guided tour into Etosha. 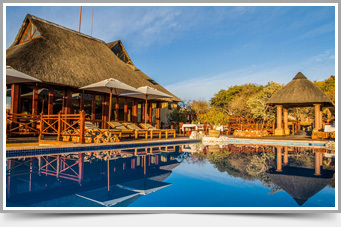 Set on a hill just a few kilometres away from Etosha’s main entrance, is the Etosha Safari Lodge. Ideal for travellers wanting to explore the areas in and around Etosha, and perfectly suited to self-drive tourists. Not in the mood for a self-drive tour? Join one of the guided group tours and enjoy amazing African views, wildlife and spectacular service. 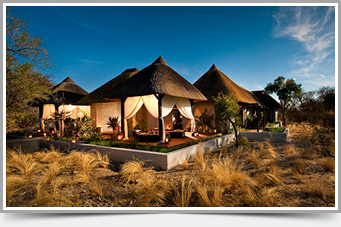 Etosha Village is an award-winning lodge situated a mere four kilometres from Etosha’s Anderson Gate. Choose from one of the 45 accommodation units nestled in the mopane forest and then set out on a self-drive or guided tour into the park – enjoying the spectacular views and the wide variety of game gathering at one of the many waterholes. Ongava Private Game Reserve is a 30 000-hectare nature reserve, protecting the beautiful Namibian wildlife and plains situated on the South side of Etosha. It provides you with a variety of accommodation, ranging from five-star resorts to authentic camping sites. Their rich game life and proximity to the national park provides you with the best opportunity to explore the diverse areas in and around Etosha. 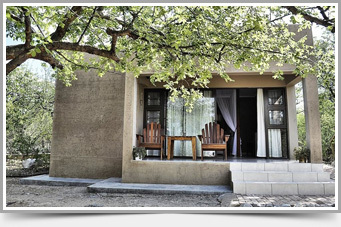 Toshari Lodge is situated a mere 25 kilometres from Etosha National Park’s main entrance – Andersson’s Gate. If you plan on taking a self-drive safari adventure, then you can drive in and around Etosha to experience the African wildlife, or else join the Toshari group and take a guided trip into the park with a knowledgeable and professional game ranger.